Nothing demonstrates the split identity of the South Coast as well as the neighbouring towns Clacton On Sea and Jaywick Sands. The holiday resort of Clacton adopts a name that welcomes visitors. It suggests that the sea is being controlled. Vulnerable to flooding, Jaywick is haunted by the windswept sand that often covers its few streets. Epic drama in the novels of Dickens required either the grim favelas of Victorian London or desolate coastal salt marshes. Jaywick has cheap fragile homes built on fields and marshland. 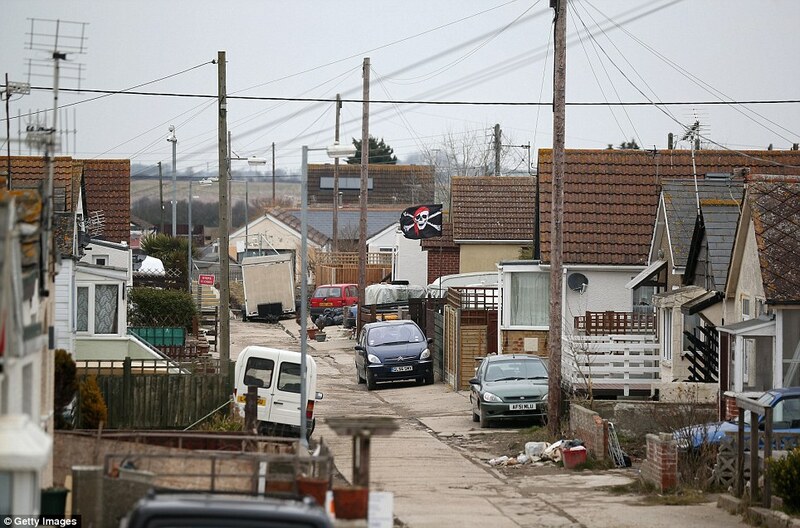 Although Jaywick Sands is sixty miles from wealthy London, 62% of the population of Jaywick receive benefits. In Britain it is 15%. 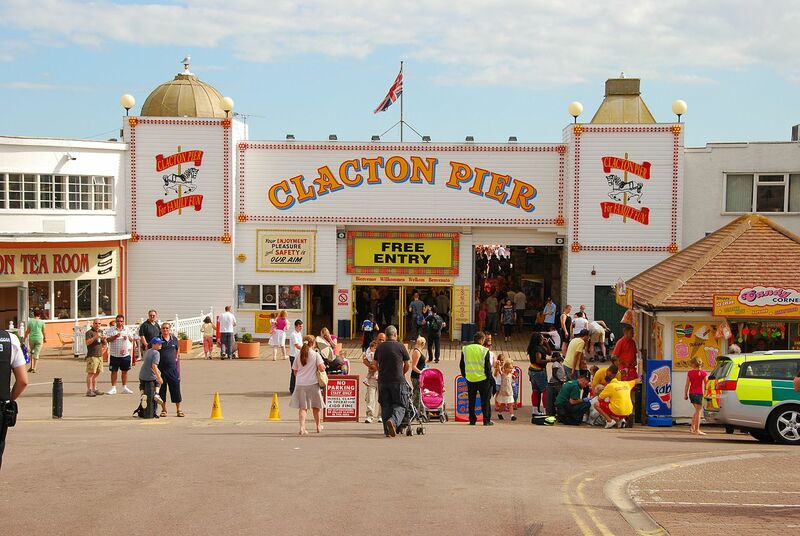 Clacton has more substantial buildings than Jaywick and feels and looks more prosperous. It should because Jaywick Sands is the most deprived town in the UK. Since Butlins left Clacton in 1983 the jobs in Jaywick have been scarce. I lived in Clacton many years ago but the Davey’s Cafe that back then won a competition for best value in the UK still exists, as does the Yates chip shop. I bought fine cooked food in both. Clacton once had a no-nonsense appeal for working class Londoners that Bognor Regis lacked but today it is Bognor that has Butlins and jobs. Towns that have or had Butlins Holiday Camps attract UKIP MP candidates. Even though the unbridled capitalism they advocate would accelerate the pace of social transformation, UKIP thrives on fear of the future and a longing for the past. Every developed country has a crazy political party that wants flat rate regressive taxation and unregulated business. The anti-immigration flag UKIP waves, though, is a deceitful shroud for the civilised Britain they would help to perish. UKIP should be called ICP, International Conspiracy Party. In a rare non-hypocritical moment Nigel Farage hinted that he might drop UK from UKIP. The either daft or sinister Douglas Carswell is the UKIP MP for Clacton. He is an economic libertarian, a Charterhouse School man committed to helping his inferiors become entrepreneurial millionaires. His libertarianism is not so friendly towards gays, though, and he is not enthusiastic about liberty for those not capable of economic power. But Carswell does acknowledge that unemployment in Jaywick is caused by the economic disability of a region rather than the failure of human will. Meanwhile he wants to cut the benefits of the economically disabled, presumably to set them free. Clacton is fine in the summer but cold in winter. Escape is provided by a reveal all cross-country eleven hour bus service to Liverpool. The town possesses two theatres and a decent cinema. The Princess Theatre has a splendid curved magnolia ceiling. The harsh describe the Westcliffe Theatre as a venue where old people watch more old people but it also houses an art gallery that encourages local artists, and once a month it has an evening of edgy stand up comedy. It is the only theatre in the country that presents the traditional summer variety show. This monument to the past persists despite the economic fantasies of ICP, sorry UKIP. Posted in Bognor Regis, Butlins, Charles Dickens, Clacton, Davey'sCafe, Douglas Carswell, Jaywick Sands, Princess Theatre Clacton, UKIP, Westcliffe Theatre Clacton, Yates Chip Shop Clacton and tagged Britain, economics, politics, travel, UK history on March 6, 2015 by Howard Jackson.